Released: July 25, 2013. Directed by: Joe Swanberg. Starring: Olivia Wilde, Jake Johnson, Anna Kendrick. Runtime: 90 min. 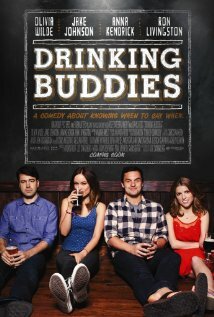 Drinking Buddies is an experimental romantic drama/light comedy directed by Joe Swanberg that follows best buddy brewery workers Luke (Jake Johnson) and Kate (Olivia Wilde) who also like each other, but they both have other romantic interests. This is a film bathed in the idea that beer taints the ability to make good decisions, and you can’t always tell if what you’re doing is right or wrong. It’s like you’re looking at the situation through a glass of beer. 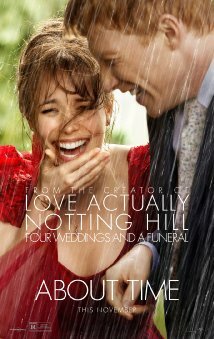 This is what helps this film differentiate from other generic romantic drama/comedies, even though this still isn’t good. The material at hand just isn’t strong. I learn that the film is entirely improvised, and there wasn’t a script written, only a vague outline of plot and order in which events might take place. This is something that does allow the acting become more believable, but it’s a film that just largely fails. There are just so many other performers who are a lot better at getting laughs from their audience. The actors in this film only get an occasional chuckle. But the cast, also including Anna Kendrick and Ron Livingston, is quite charming. The banter between them all is sometimes pretty good. They all have a great chemistry, which saves the film a bit. even when it’s a bit awkward at times. But heck, Kendrick could have good chemistry with a wall. The chemistry between everyone is very sweet. It’s a realistic look at relationships and how picking the person you’ll spend your life with is a hard decision. It’s a look at the confusing times of relationships, too. Everything’s a bit frustrating because the viewer probably just wants the two couples to swap partners. 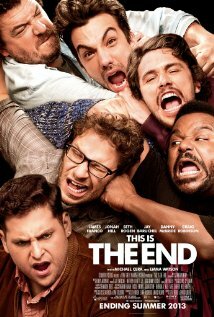 The film is sometimes frustrating (this is mostly the third act) and sporadically funny. This finds a strange balance between mildly charming (because of the cast) and mildly boring. The characters are okay, just simplistic. This is just all pretty boring and often frustrating, and it’s just intensely forgettable – and it all feels pretty empty by the end of it all. Released: August 23, 2013. Directed by: Adam Wingard. Starring: Sharni Vinson, Joe Swanberg, AJ Bowen. Runtime: 95 min. I love horror films. It’s one of my favourite genres. A lot of them aren’t that great, but I think if there is a great one – it’s always a lot more pleasing than say, a good animated film – because that’s a consistent genre. 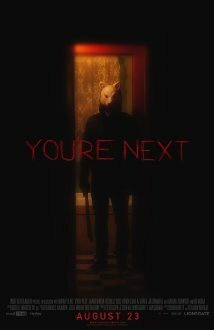 One good horror film of 2013 comes in the form of Adam Wingard’s You’re Next, that actually premiered at the Toronto International Film Festival back in 2011. It’s the latest film to enter an indie horror sub-genre called mumblegore; so I guess that name indicates you should have a tolerant stomach for gore. It follows a mildly simple premise that, upon hearing about it, you probably wouldn’t expect much out of it; but I couldn’t help but be excited about it because of the trailer’s effective use of Lou Reed’s “Perfect Day.” The plot: The Davison family are having a wedding anniversary at their house that’s isolated and a run through the woods away from their neighbors. In some brilliance – and evident premeditated planning – the neighbours get killed off in the opening scene. During the family’s dinner, an arrow flies through the window. They are under attack. Little do the attackers expect, there is a guest in the home that has a knack for putting up a wicked fight. The pretty Australian Sharni Vinson portrays Erin, the true badass of the film. It’s nice that it turns the way films portray women as weaker than men right on its head. It’s also refreshing that this film gets set up like one’s average revenge horror flick, but turns out to be a really fun, lite satire, in the way that the title is self-aware (you’re next, guys!) and filmmaker Ti West portrays a character who is a filmmaker, to name a few examples. It’s just self-aware a lot of the times, too – and a lot of the kills are really fun. That’s the point, right? 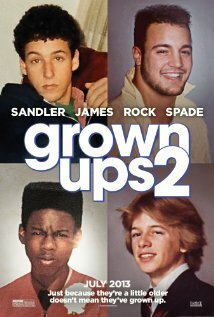 Movies like this are just very entertaining. It’s told with the thrills of The Strangers and the witticism and entertainment value in the vein of Scream. While it not be as scary as the former or as hilarious as the latter, it still has its fair share of each – and it turns out to be a film where a lot of the characters aren’t helpless. Some still make some pretty crappy decisions, but that’s expected. The only type of horror where usually the characters don’t make the worst decisions is in psychological horror. This is definitely not that sort-of film. There’s a great amount of surprises in this film. Don’t worry, none will be spoiled. One criticism I have is a scene at the end, which I didn’t think was necessary – but it did show this film is just here to entertain the hell out of you. 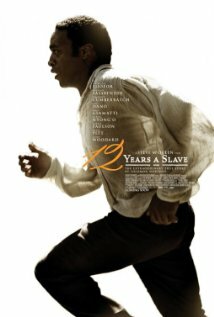 Simon Barrett writes the film very well. One aspect that is really cool are the animal masks the villains wear: a fox, a lamb, and a tiger. Their animal masks, and their crossbows as weapon of choice, says that they’re predators (well not so much the lamb). Also, and more importantly, that humans have animalistic instincts. I think that’s a hidden meaning in the film – and one that’s some great food for thought to be found in a horror flick. 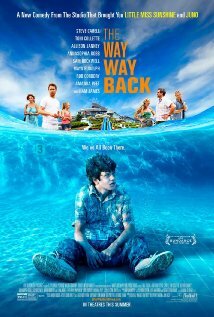 Released: May 10, 2013. Directed by: Nicolás López. Starring: Eli Roth, Ariel Levy, Nicolás Martínez. Runtime: 89 min. 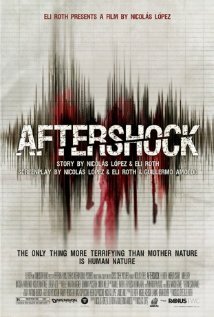 Aftershock is a Spanish-American film directed and co-written by Nicolás López, written with Guillermo Amoedo and Eli Roth. I’m curious to know which writers handled which aspect of the film. 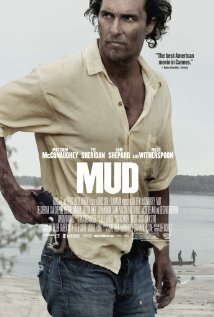 The movie is a disaster flick, a commentary on the ugliness of human nature, and it feels like an exploitation film at times. I’d imagine Roth handled that last aspect. Roth, also a star of the movie, gets a few laughs. Also featured are stars mostly known for foreign films. One, Nicolás Martínez, strikes me as a Chilean version of Zach Galifianakis. At least his last name is easier to say. Selena Gomez makes a short cameo as a random party girl. All the actors portray their characters well, at least well enough for a horror film. 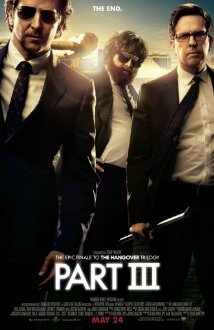 The screenplay runs into problems early on that will bother some viewers; the problem is establishing character’s names. The character banter is actually funny (Martínez gives us the most laugh-out-loud moments), but for whatever reason not knowing the character’s names is a distraction to me. It’s sort-of like if I were to meet someone and I forgot their name mid-conversation, I wouldn’t be able to focus because I’d be so sidetracked trying to think of their name. Next time, the screenwriters should make it a habit of letting us know the characters’ names by their first or second scene, third at the latest. For those curious, not until 36 minutes in are all of the primary characters’ names established. Too often was I referring to characters as That Short-Haired Girl, Spanish Fat Alan, and Eli Roth. It turns out Roth’s character’s name is extremely generic, Gringo, a term used for English-speaking foreigners (mainly Americans) in Spanish-speaking countries. Gringo is visiting his buddy Ariel (Ariel Levy) in Chile, taking in the sights. The two, and Ariel’s friend Pollo (Nicolás Martínez) go on the town to parties, where they meet a few pretty girls who are vacationing in Chile. It seems to me they’re all from Budapest or Hungary. One is named Monica (Andrea Osvárt) who is a controlling older half-sister of Kylie (Lorenza Izzo). Travelling with them is another pretty woman named Irina (Natasha Yarovenko). The characters are pretty okay, I like their chemistry and banter. On their second night of partying together, they’re in an underground night club when an earthquake strikes. When they reach the surface, it seems that the earthquake was only the beginning of their troubles. While trying to survive, they learn the horrors of human nature. I like the flow of the plot. Technically speaking, it’s good – the cinematography is chaotic at times, but I think it’s used to highlight the chaos of the situation. The visual effects are cool and the sound editing is great. I think the score is well done, too. The cinematography captures some really nice Chilean landscapes. What I think is impressive about this film, is that even though the film’s not great at establishing character’s names, you care about a few of them and audience members feel some of the character’s pain. I think some parts are actually pretty sad. Other character developments aren’t the strongest; notably Roth’s Gringo, who never downplays the fact that he’s a Jew. Some of the things he says are funny at first, but it then it just becomes an irritating character trait. Enough about the characters, because there’s not much more to discuss here. 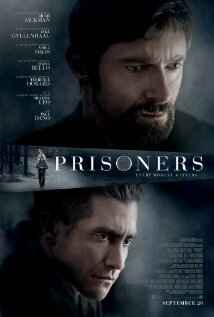 A layer of intensity is added when a group of convicts are able to escape from the local prison because of the earthquake. This keeps the story going and adds antagonists other than mother nature. The ugliness of human nature is analyzed by some character’s decisions, for example – when a random character doesn’t help a person, even though that said person helped her. That’s just a simple way to show how people can be crappy. The ways it shows how humans are ugly is only rarely so tame in Aftershock. It seems to me, the reason why people might dislike this film is that there’s just a lot that it’s trying to juggle. 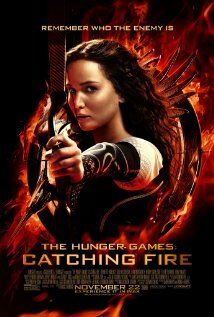 It’s partly a disaster film, while expressing the ugliness of humans, as well showing each character’s will to survive. All with lots of gore. There are a lot of simplistic themes throughout, but I think they’re handled well. However, juggling all of these approaches to this kind-of filmmaking doesn’t allow it to boast full control and focus. This also takes the traditional horror route a bit too often. It seems that the viewer will have to decide whether this is a profound analysis of the ugliness of human nature or just another exploitation flick from Eli Roth’s extensive cannon. It feels like both to me, and both approaches are good. This list is a lot late, but I still wanted to see a few more films before making my list. I still have a lot to go, but I’m pleased with the current Top 20 I have at the moment. I might do an article later in the year with an unofficial updated list, just to show how what films might have made the cut if I’d seen them before making the list. Without further ado, here’s my Top 20… I was going to have the whole list displayed in pictures, but the formatting was off for the first half so only the Top 10 are displayed with pictures. Honourable mentions: Monsters University, Fast & Furious 6, 42, Saving Mr. Banks and The Great Gatsby. 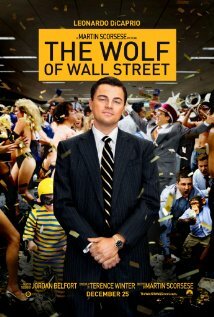 Released: July 19, 2013. Directed by: James Wan. Starring: Vera Farmiga, Patrick Wilson, Lili Taylor. Runtime: 112 min. 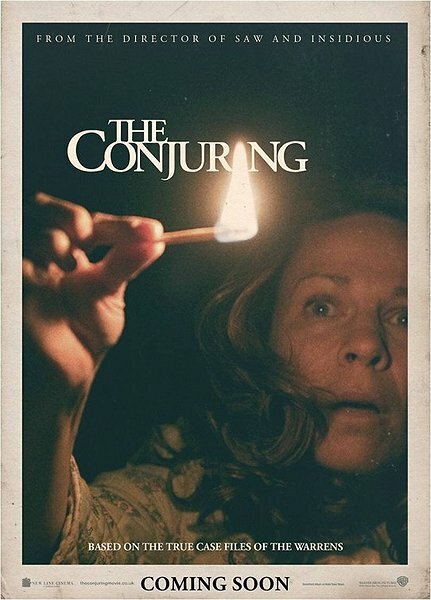 James Wan’s The Conjuring has something too often missing from modern horror films: real scares. I think this film is scary as hell. This film is enough to make me paranoid before bed, but not able to lose that much sleep. If I had seen this in theatres, it may have been a different story if I’d seen this in theatres because of the creepy score and great sound design, and couple that with surround sound, it might make viewers very paranoid at points. This film does start to creep me out just thinking about it. And how effective is that? The true story follows the Perron family, an ordinary family haunted by a hateful spirit in early 1970s Rhode Island. For part of the film’s first act, focus is shifted between the Perron family and demonologists (the only two recognized by the Catholic Church) Ed and Lorraine Warren (portayed by Patrick Wilson and Vera Farmiga, respectively) until the Warren’s go to help the family. Lorraine is given an extra layer by something that happened to her in a previous case. Her husband is more protective of her because of that, and it gives them a great chemistry. This also gives the two characters a nice layer of vulnerability. The two actors are great, so they’d have a great chemistry regardless. To find both good characterization and memorable performances already seems like a rarity in today’s modern horror market. I think the family gets some pretty good characterization, too, and they’re performed well by Ron Livingston, Lili Taylor and Joey King. The family dynamic’s explored realistically. I like the idea that, when one is younger, their imaginations make them more vulnerable. What makes the movie more interesting is a sub-plot on another one of Warren’s cases, where an inhuman spirit inhabits a truly eerie Annabelle doll. It’s what helps introduce the Warren’s into the film. I think their lectures are fascinating, and they add on to the mythology of demonology and paranormal activity; other scenes add to the mythology, as well. The film takes the old-school horror route with old-fashioned scares and a great foreshadowing of what’s to come; like clocks stopping at a certain time each night, pets being scared of the house, and bruises on bodies. The creepy score is used well for foreshadowing, as well. The 1970s styled costume design is great, especially for Farmiga. I think it’s interesting to see how they plan to catch demonic activity before advanced technology. The scares are simplistic but endlessly effective and memorable, and the imagery and crazy spooks stick with you. A lot of this is edge-of-your-seat, sweat-on-your-palms scary. I think something that is impressive is that the film doesn’t lose its footing when the entity’s revealed, it gets even better. James Wan is a master at creating a haunting film like this. He understands the atmosphere and creates it realistically. The always switching camera angles and points of view keep things interesting and refreshing. The cinematography is just great, and the editing just as awesome. Something that makes this film a bit more ominous is that it’s based on true events. To think that this can happen to you is really scary. Some scares are foreshadowed, and sometimes the simplest of developments (foggy breath, shadows following each family member) prove to be some of the most chilling. This is the best horror film of 2013, just beating out Evil Dead. It all leads up to one phenomenal finale, and what’s more memorable is how the finale has a lot going on, spanning different settings, but manages to have great focus. This also has one hell of a memorable exorcism scene. Released: September 24, 2013. Starring: Jemma Dallender, Yavor Baharov, Joe Absolom. Directed by: Steven R. Monroe. Runtime: 106 min. I’ll keep this one short and sweet. This follows the exact same formula as the previous film, except the writers have developed an obsession with feces. This time, the cruelty is uninspired European cruelty. The story follows a woman who is trying to make into the cutthroat world of modeling, and she sees an advertisement for a free photoshoot because she needs more pictures for her portfolio. This puts her on one of the photographer’s radar, who takes a liking to her. A day soon after he breaks into her apartment and rapes her. This shows that he is an unlikable character, and the other characters are just helping him get out of this crappy situation. Well, once they have her captive, it shows that they are just as cruel. The murders this time around aren’t as great, and the kills in the first one weren’t that good, so that’s saying something. 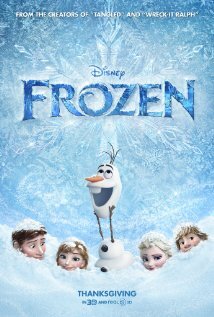 This is all awfully filmed with a lot of despicable characters and an uninteresting lead who has one of the most annoying screams in recent memory. I think the only thing this film does differently from the first is the fact that it shows how the woman managed to survive being left for dead. It’s a decent convenience, but a better convenience would be this film’s disappearance from existence.